Arriving in the unspoilt fishing village of Polperro is like stepping back in time. Ancient cottages perched on steep hillsides with narrow cobbled streets overlook a small, picturesque harbour. Traditional fishing boats dot the horizon before returning with tonight’s supper. Mesmerising sea views draw you into the relaxed pace of life, making you forget the rat-race back home. Not so long ago, Polperro, and the hidden coves that pepper the surrounding coastline, was a smugglers haunt. Today, the ever-changing light and stunning seascapes make it a haven for artists and holiday makers looking for a peaceful retreat. Yet there’s more to Polperro than pretty harbour views. A holiday in Polperro can be as active or relaxing as you’d like. Polperro’s narrow traffic-free streets, lined with independent shops and galleries, are perfect for indulging in a spot of retail therapy. From sweet treats to works of art, you’re sure to stumble upon something you’d like to take home. Nothing beats a bracing clifftop walk, whatever the season, and there are several to choose from around Polperro. 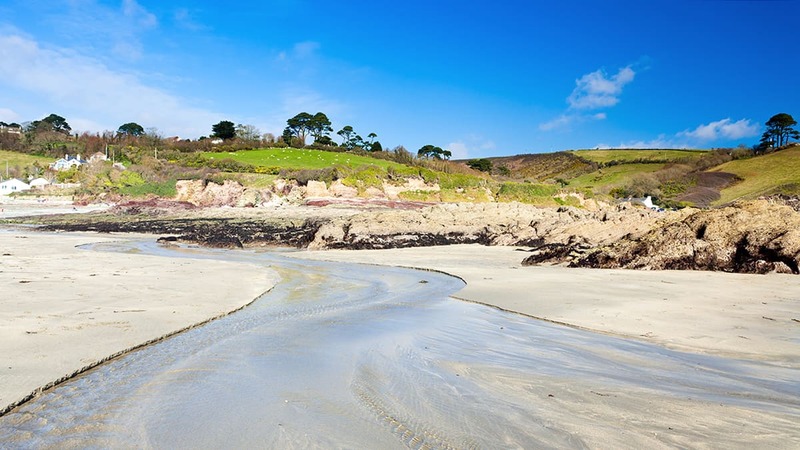 One of our favourites is the five mile coast path walk from Polperro to Looe, via the stunning beach Talland Bay. Stop at the Smugglers Rest if you’re in need of refreshments and a little time sitting still to fully appreciate the views. Polperro is lucky to be situated close to several breathtaking beaches. From the small beach just outside the harbour wall at Polperro (which is best visited at low tide), to the huge expanse of golden sand at Talland Bay, and the quiet, remote, dog-friendly Lansallos beach – there’s a beach for every mood and every occasion. At the foot of Chapel Cliff on the small sandy beach at Polperro, you’ll find a small tidal bathing pool that could be described as a giant rock pool. Bring buckets, nets and keen eyes to spot the intriguing creatures that live here. The precarious walk down the steps carved in to the cliff to the pool adds to the adventure! Polperro is perhaps best known for its locally caught seafood. 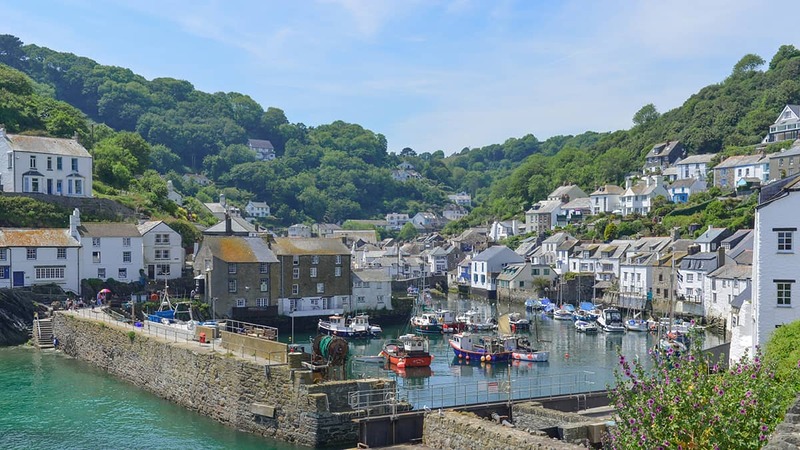 Tuck into a crab sandwich at the harbour or head to one of Polperro’s many excellent cafes, restaurants and pubs to order your catch of the day! Polperro museum is home to a fascinating collection of photographs and memorabilia depicting this Cornish village’s extraordinary history and many of the people who featured in it. 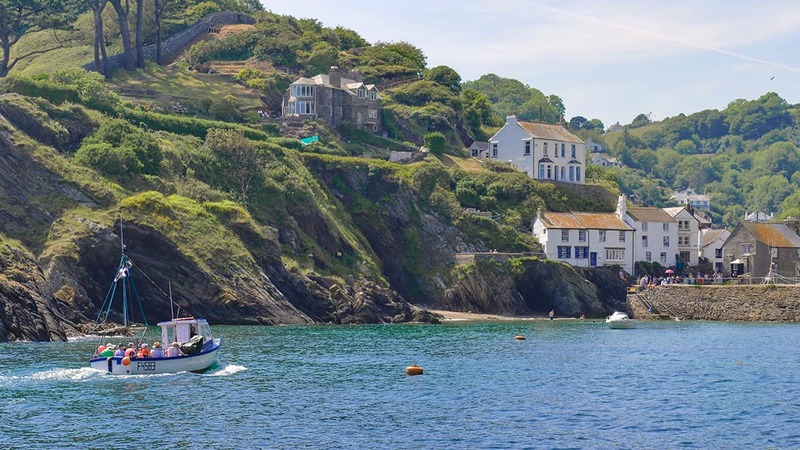 Pulling in to Polperro harbour from the sea is an unforgettable experience, even more so if you’re bringing back a bucket of fish you caught yourself! It’s easy to book a fishing trip or pleasure cruise from the quayside, and it’s certain to feature among your holiday highlights. The model village and railway has been delighting families of all ages for over 60 years. Explore Polperro in miniature and learn all about the Cornish myths and legends surrounding this mysterious village. The Monkey Sanctuary in nearby Looe is home to around 37 primates, each with their distinct characters and personalities. Meet the monkeys and learn from the experienced keepers all about these beautiful creatures. 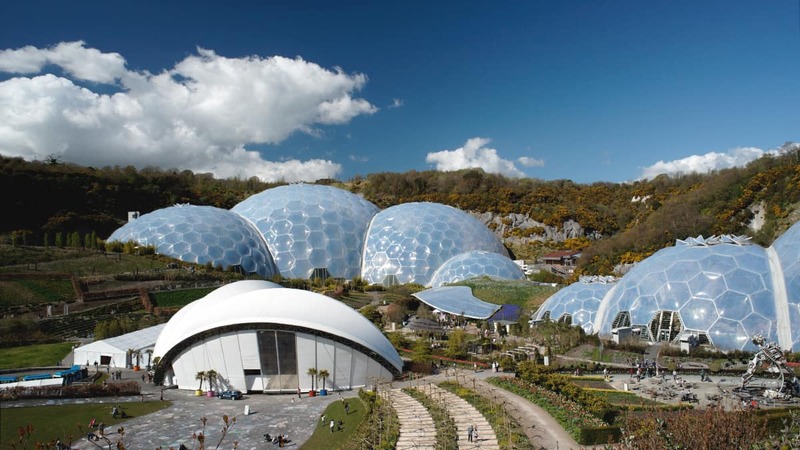 Less than 40 minutes from Polperro by car, the Eden Project, featuring the world’s largest indoor rainforest, makes a fantastic all-weather family day out. No need to pack a picnic, the canteen serves delicious, sustainably-sourced, freshly-made food at reasonable prices. If you have a spare day, Heligan’s historic gardens are around 50 minutes away by car and well worth the trip. 25 years ago, nobody knew of their existence. Lost under a tangle of weeds, it was only the chance discovery of a door in the ruins that led to the restoration of this once great estate to its former glory as one of the finest gardens in Cornwall. High above the River Fowey, the ruins of the 13th-century Restormel Castle offer spectacular 360-degree views of peaceful countryside and a popular spot to enjoy a picnic. There’s plenty of space for children to let off steam whilst the adults enjoy the scenic surroundings. Find your perfect Polperro holiday cottage here.